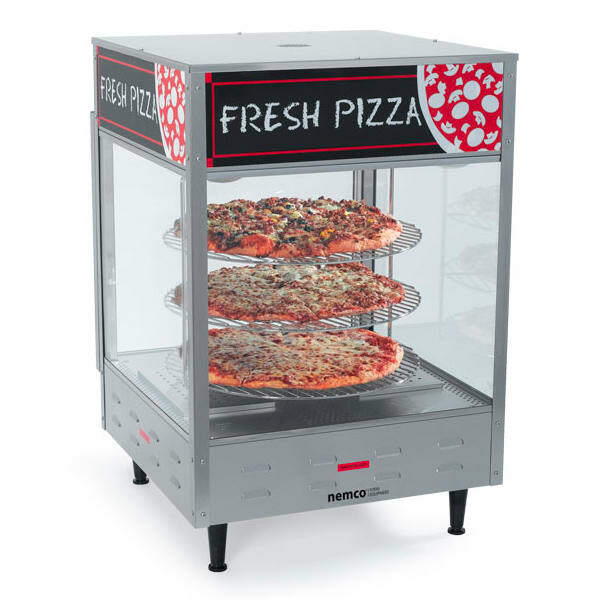 With a large display and 3-tiers, this rotating pizza merchandizer from Nemco lets you display three pizzas at once, while keeping them hot and read to serve. The stainless steel construction is durable and easy to clean. 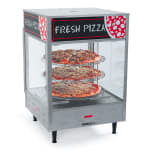 The built-in water reservoir keeps your pizza from becoming dry.